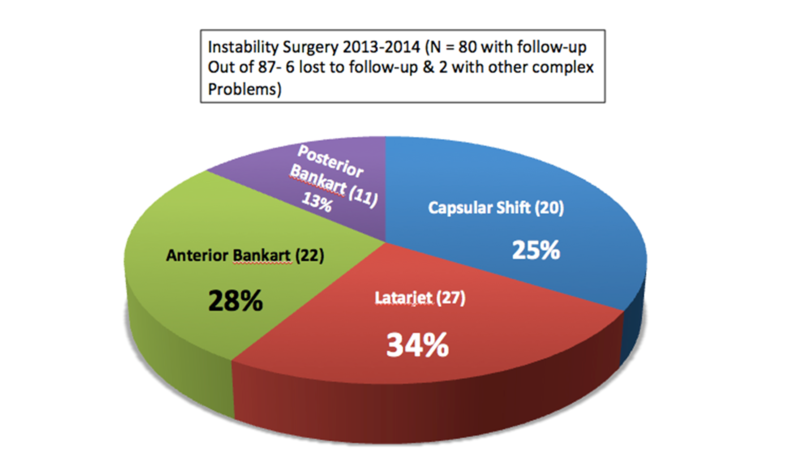 87 Instability surgeries were performed; however 6 patients were lost to follow-up as many traveled from international destinations or non-contiguous states in the USA and could not be reached to answer questions about their results. Two patients had unrelated complex medical problems which intervened and made assesment of their surgical outcome difficult. 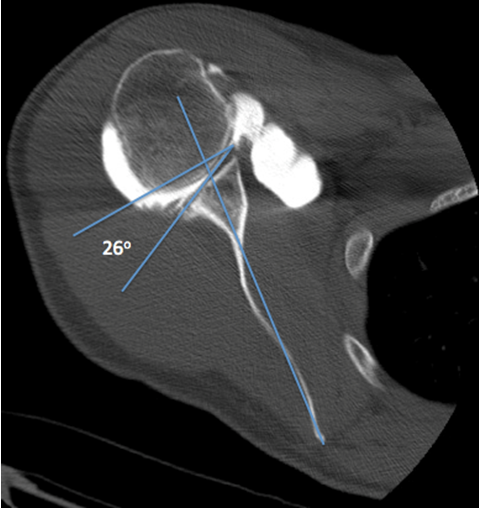 Anterior and Posterior Bankart as well as Capsular Shift procedures were performed arthroscopically, while all Latarjet procedures were performed as open surgery. 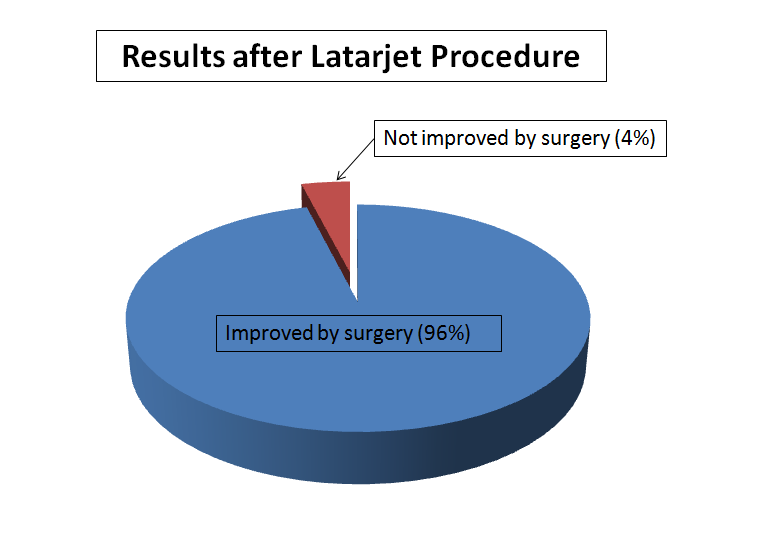 Most Latarjet procedures were performed in the setting of a prior failed instability surgery. 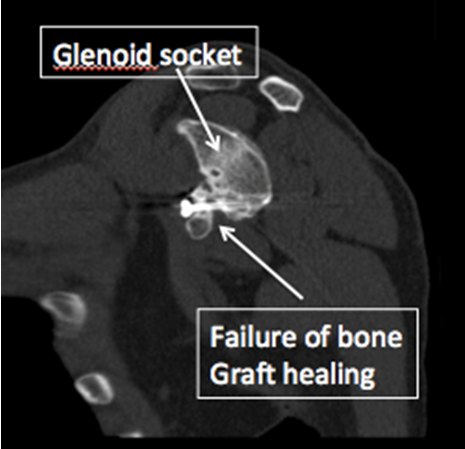 All were performed for some degree of bone loss along the glenoid socket. 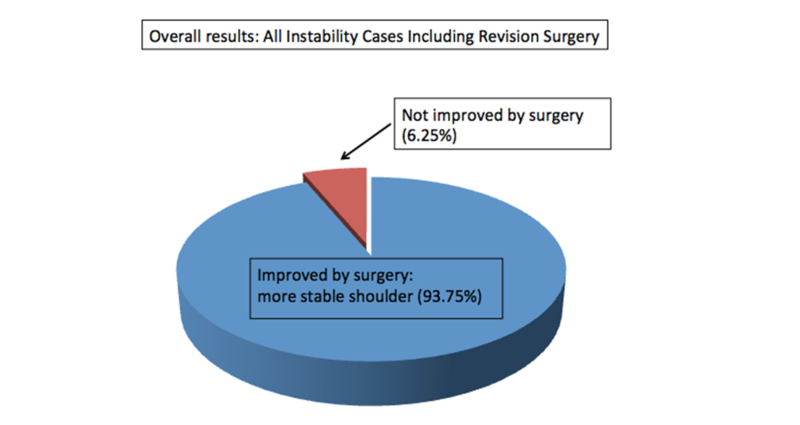 “Satisfied” = “Improved by surgery” = improved stability and less pain. Failure of Posterior Bankart repair due to wearing down (erosion) of the back of the socket. 26 degrees of retroversion compared with normal of less than 5 degrees.